Employee groups are finally here! Employees can now be assigned to a group and time card reports can be run against individual groups. 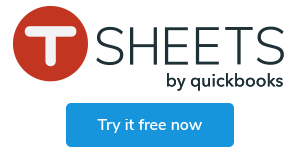 What you need to know about employee groups and the TSheets online time tracker. First, employees can only be a member of a single group. Second, any number of employee groups can be created. Third, time card reports can include all employees, or just the employees in a selected group if chosen. A group can be anything that works for you. Some customers will use groups like “East Store” and “West Store”. Others may create groups like “HR”, “Engineering”, and “Sales”. We hope that employee groups will allow you to effectively group your employees and make your job easier. To create groups, login to our online timesheet with an administrator account. Click the “Manage Employees” menu item. Click the edit icon for an employee. Half way down the page you’ll see a link that says “Create employee groups“. A popup window will appear. Click the “Add new group” button, enter a group name, and click “Save”.